Sarah grew up listening to Take the Floor and started Scottish Country Dancing before she could walk. 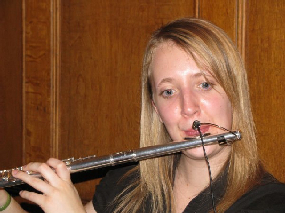 Having graduated with a Masters in Composition from Cardiff University she now works as a freelance musician around South Wales inflicting folk music wherever possible. Simon has played the fiddle since a very young age. He grew up in the south east of England but goes to Scotland at every opportunity. Currently living in Cardiff, after graduating from a Masters degree in Composition, he teaches music in Newport where he tries to make all the pupils play folk music. Ben is half Scottish and has even been there. He graduated from Cardiff University with a Masters degree in Composition and is now studying at the Royal Welsh College of Music and Drama where he learns how to wave at people. He also works as a freelance piano teacher, repetiteur and choral conductor. If he gets any spare time he likes to dabble in a bit of film-making. 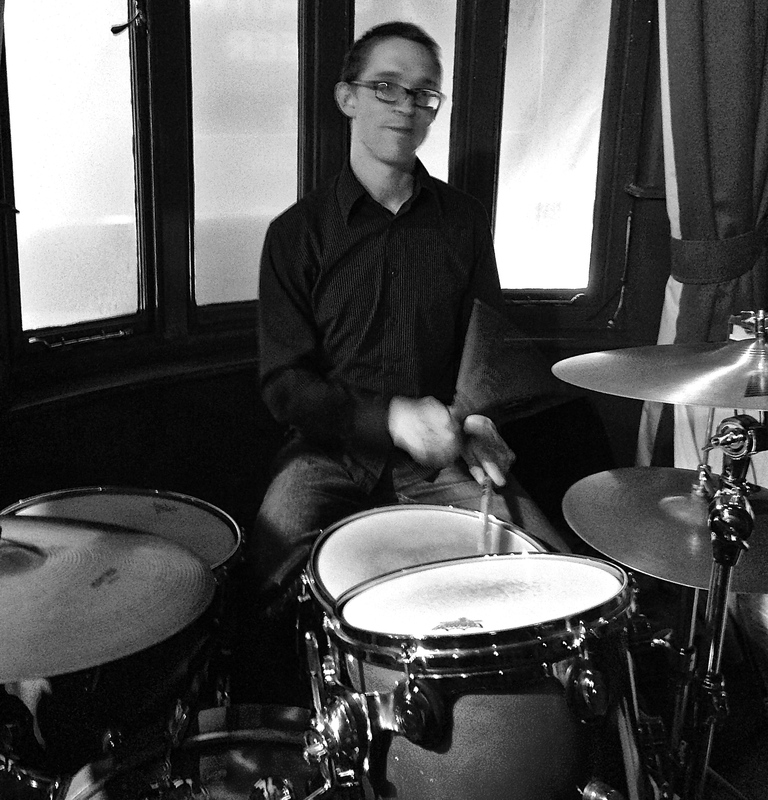 Nick Baron is a percussionist from Somerset who studied at the Royal Welsh College of Music and Drama. He has drummed with Only Men Aloud!, QDos pantomimes, the Blackhawk Big Band, the Alpine Stompers, an d numerous jazz bands and musical shows. As well as kit playing, Nick has a marimba duo (the Baron-Rose Duo), a salsa band (Fiesta Resistànce), and freelances as an orchestral percussionist (so he knows a lot about triangles).